I am thrilled to have been appointed as the new Executive Director of WomenMTB and serve on the Board of Directors. WomenMTB is an organization that I have become very passionate about over the last 2 years. I am a hairdresser and have owned and operated my own salon for 18 years. Prior to owning my own business I taught at a local Cosmetology school and also worked as an educator for a professional color company. I have always had a passion for sharing knowledge as well as learning from others. I have been married to my husband, Bruce, for 25 years and we have two great kids, Grady (11) Romey (8) and our trail-loving dog, Lemmy. My husband introduced me to mountain biking in 1993 when he bought me my first bike. We dabbled in some local downhill and cross-country racing for several years. He then took me out to the local BMX track, RAD Canyon, and I started racing BMX at a local and national level. I won several Utah State Championship titles as well as 7 National Age Group titles. After many years of racing BMX I really missed the solidarity of the mountains and single track so I refocused on riding my mountain bike again. After having our kids it was our goal to become a “biking family,” They both started racing BMX at four and then riding mountain biking at ages 8 and 6. I now spend many of my weekends riding mountain bikes or fat bikes with my family. 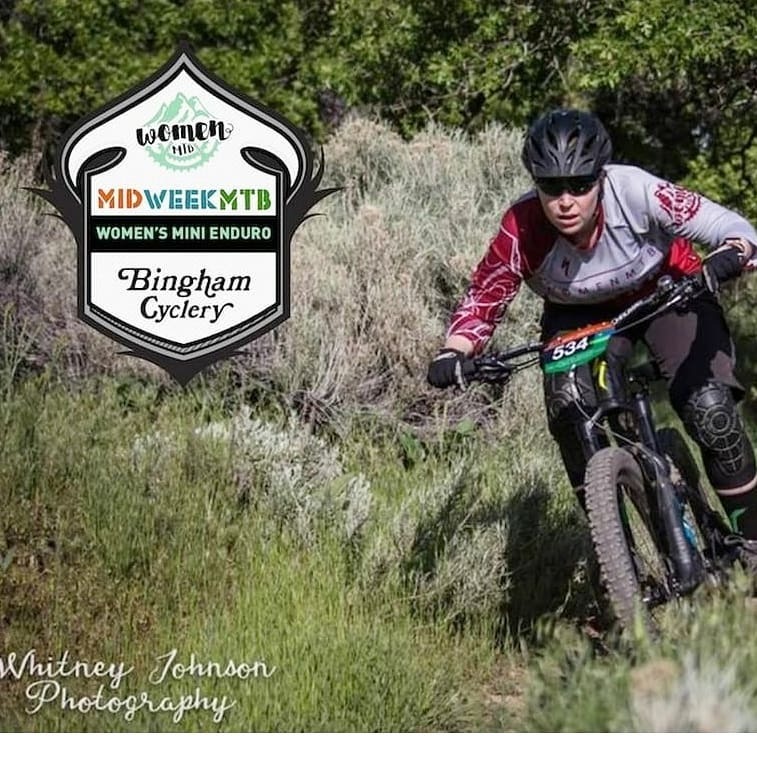 I still race my mountain bike and just finished my second True Grit Epic in St. George and will be racing the Women’s Only Mini Enduro in June. I love adventure am always up for a challenge. I have been involved with WomenMTB since 2017, first as a ride leader, club captain, and now Executive Director. This club has become such a special part of my life due to the friendships I have made and the incredible women that I have met. My goals for WomenMTB is to continue to expand the club with more amazing women each year as well as developing the club into new areas. I would also like to help increase the interest of young girls riding bikes by providing clinics and group rides. My goal is to bring in more women only races including a cross country event to our area. We have such an amazing group created by Rae Sutherland and I will continue to build on what she has given us, a community of support and encouragement while having a great time on our bikes.